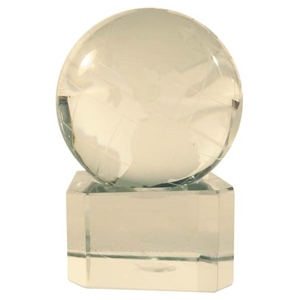 This clear crystal earth sphere has the continents, longitude, and latitude lines etched on the surface. Approximately 30mm in diameter. Comes with a glass stand that allows the earth to spin. Stand is 15/16" x 15/16" x 9/16".